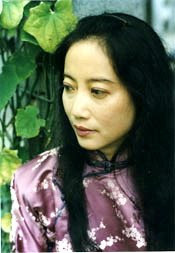 Mingmei Yip is a novelist, a children's book writer and illustrator, a qin musician, a painter, and a calligrapher. She received her doctorate from the Sorbonne in Paris and taught in universities in China before immigrating to the United States. 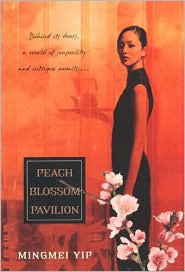 Her first novel written in English, Peach Blossom Pavilion, was published in June 2008 by Kensington. Only seven weeks after its release, Peach Blossom Pavilion went into its fourth printing. Mingmei, many thanks for visiting my blog, and congratulations on the publication of your seventh book and first novel, Peach Blossom Pavilion. How do you balance your life as a writer with your life as a musician, artist, and calligrapher? Do they compete for your energy, or do they complement each other and make you more productive overall? My several interests do compete for my energy but also complement each other. Since I cannot do everything at once, setting priorities is very important for me. I’ve learned to focus on the specific interest that needs attention at a particular time and temporarily put aside the others. So when I have a writing deadline, I’ll stop painting to give my full attention to writing. I minimize distractions and often write all day and into the evening. Similarly, when preparing for a concert I play from morning until bedtime. My interests do inspire each other. In my novel, Peach Blossom Pavilion, I introduced all the arts that I’ve been practicing since I was a teenager—music, calligraphy, painting, and poetry. You were trained in many of the same arts as your heroine, the courtesan Precious Orchid, but in a very different China. Are there ways in which your lives have been similar? Although I was born and grew up in Hong Kong, then a British Colony, I consider myself very lucky to have been trained in these traditional arts by masters from China who were heirs to the 3,000-year-old Chinese traditions. Those accomplished in these arts included not only men but also high-society ladies and their fallen counterparts—artistic courtesans, or Geishas. The old Chinese culture still exists but one must make the effort to seek it out. Peach Blossom Pavilion required substantial research. Do you have any suggestions for not getting bogged down in research at the expense of writing time? Yes, research does take up a fair amount of writing time. Fortunately, because I have been fascinated by Chinese culture since my teens, I have been accumulating knowledge and rare books on the subjects I used for my novel. I did go to China twice to research Peach Blossom Pavilion because I needed materials not available here. Research can be endless, however, so my advice is to do just enough to put yourself in the minds of your characters, but not more than this. If you are really fascinated by your subject, as I am, then you may just have to set a limit when you stop researching and start writing. Why did you choose to write about the last Chinese courtesans before the Communist Revolution? What about that time period or life intrigued you? Most Americans know about the Japanese Geishas but almost none know about their Chinese counterparts. While Japanese geisha culture still has remnants today, that of their Chinese counterparts has passed into history, and I wanted to give voice to these women whose lives were both splendid and miserable. Indeed, Peach Blossom Pavilion is the only novel about this aspect of Chinese women’s lives. Their determination to make the best of their lot deeply moved me. There are many books about modern China, which is also fascinating, but readers in the West should be able to read about the rich traditional culture that preceded the introduction of McDonalds and Coke. Writing in a language that is not your native tongue must have presented many challenges. What problems did you face, and how did you solve them? Most challenging for me in writing in English language is grammar, since that doesn’t really exist in Chinese. So when I started to write, I took as many grammar classes as I could afford. I also read as much in English as I can so as to develop a sense of the beauty and rhythm of the language. Whenever I notice some perfectly rendered sentences in terms of structure, rhythm, sound, etc., I’ll try to copy them or even memorize them as models. Since I am something of a free spirit, my schedule is pretty erratic. When I’m inspired I can write up to ten hours a day. I usually take a nap to refresh myself. I don’t need caffeinated drinks or music to keep me energized. When I’m completely focused, that’s caffeine in itself! Nor do I need alcohol to unwind; playing the qin does that for me. Since inspiration often comes to me in dreams, I keep a special pen with a light by the bed so when I wake up in the middle of the night I can jot down these evanescent images. Why do you love the qin more than other musical instruments? The qin is the most ancient string instrument in China with over 2,500 years of history. Because it is an icon of Chinese culture, it was chosen to be played in the recent Beijing Olympics Opening Ceremony. Qin music, meditative and subtly layered, relaxes me. I have also composed qin music for lyrics by ancient Chinese poets and myself, which I sing to my own accompaniment. 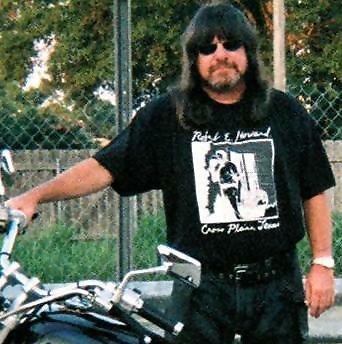 Samples of my singing and playing can be heard on my website. What are you planning to write about for your next book in English? My next novel is already completed. 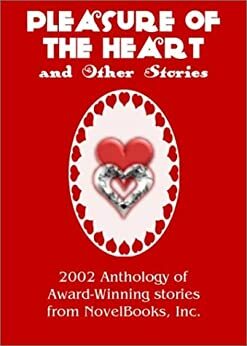 It is a Buddhist love story in which I mix romance with Buddhist ideas such as illusion, non-attachment, enlightenment, and nirvana. 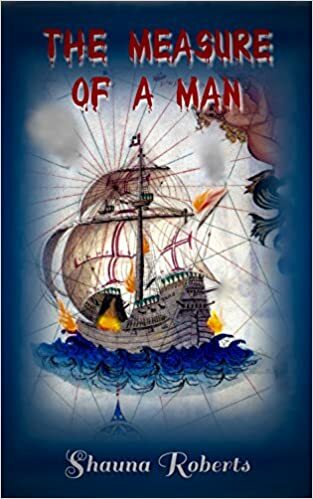 I have just started my third novel, the story of a young woman who unexpectedly inherits five million dollars from a stranger, then travels to remote China, seeking her unknown benefactress. This is a spiritual, mystical adventure story that came to me in one of my dreams. Thank you again for visiting my blog to talk about Peach Blossom Pavilion. Mingmei Yip's Website is http://www.mingmeiyip.com/. Peach Blossom Pavilion is available at bookstores and at Amazon.com and Barnes & Noble. 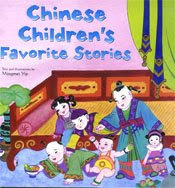 Her children's book Chinese Children's Favorite Stories, which she also illustrated, is available in bookstores, at Amazon.com and Barnes & Noble, and in some museum bookstores. Very interesting interview. How courageous to write in your second (?) language. Sounds very interesting. She sounds like a Renaissance woman. I'm a jack of few trades and master of none. Kudos to Ms. Yip in pursuing traditional culture! Too many of those are vanishing these days. BARRIE, given that Mingmei went to college in France, English may be her third (or later) language. If she stops by to see her interview, maybe she'll tell us. CHARLES, you have a happy wife, pleased students, and readers who love your books. That makes you master of at least three trades. LANA, you are so right. And what is so sad is that other countries copy theworst aspects of the U.S., such as a couch potato lifestyle; a diet that causes heart disease, cancer, and diabetes; overeating; and saccharine-sweet pop songs that all sound alike. Such a fascinating interview and subject matter. And to write the story in English...I'm impressed. Wow, a true member of the Full Throttle lifestyle!!! She sounds like a fascinating person. How'd you meet her? The interview intrigued me, and as I continued to read it became so interesting that I have placed this book on my TBR list. CARLEEN, Mingmei and I sat at the same table for lunch one day at the RWA conference this past summer. RWA is a useful organization to belong to for many reasons. BARBARA, glad I could introduce you to an interesting book (and author).